I have to admit, I’d never heard of this movie until it landed in my mailbox; that said, I can’t believe something so undeniably awesome totally flew under my radar for thirty years. Yes, it’s schlock, but it’s old school schlock, and isn’t that really the best kind? Give me stop-motion and process shots any day, because at least they’re organic and we know someone was actually putting hands on the props to make them work. Further, marvel at the aerobatics involved in the final action sequence, and understand that the stuff they’re doing is no longer allowed. I could rant for hours, but you get the idea. This movie was more fun than it had any right to be. Super big thanks to Larry Cohen for making such a great movie. 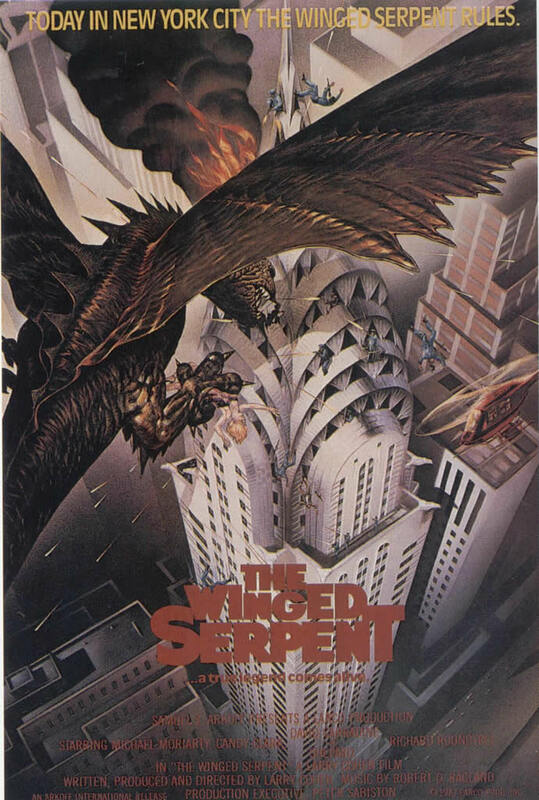 Also, a big shout out to Shout Factory for their spankin’ new Blu-Ray release of Q – The Winged Serpent!